You last will and testament may be the single most important document you ever sign. Your will specifies how your estate will be distributed and determines who will inherit your real estate, your investments, your savings, and your personal belongings. You will can also name one or more persons as a guardian for your minor children and an executor to manage your estate. Without proper estate planning, there is no guarantee that your wishes will be carried out or that your family members will be provided for as you intended. 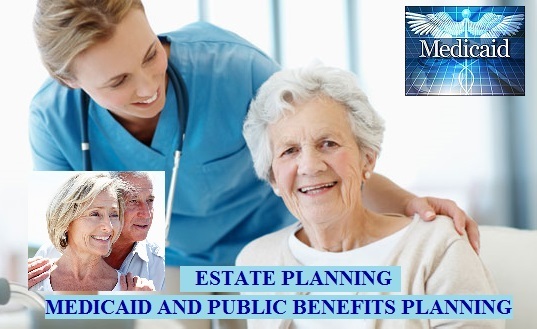 Medicaid Planning is one of the most important parts of any estate planning process. If your estate planning documents do not help you achieve Medicaid eligibility without requiring you to spend down all your life’s savings, then something is probably wrong with your estate plan. Although advanced planning is best, we also urge our clients to explore all their options in the sad event that a family member needs emergency admittance into a nursing home. Even if you are denied Medicaid coverage, we may be able to help. If you have been denied Medicaid coverage and are being required to pay nursing home expenses out-of-pocket, you may be able to save a significant portion of your assets by having your Medicaid application and your assets reviewed by our firm. We will look at asset levels, monthly income amounts, any prohibited gifts or asset transfers. In many instances, we are able to make changes to your estate plan or mount a successful appeal of the denial of Medicaid benefits. A living will is a document that informs doctors and other health care professionals about the kind of life sustaining medical treatment you want if you become unable to communicate your wishes verbally. A living will is limited to choices involving artificial life support, feeding tubes, hydration. Most people who choose to have a living will also have a healthcare power of attorney. A durable power of attorney for health care allows an individual designated by you to make decisions about your medical treatment if you are unable to do so yourself. It goes beyond a living will, in that it can be used for any health care decision, including surgery and experimental treatments. The MacSim Firm can prepare these simple, yet very important and powerful documents for you. Call us now, we are here to help.